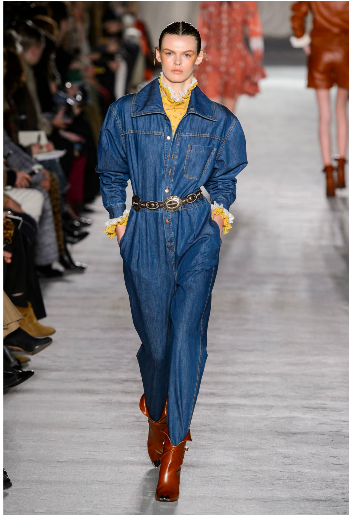 Last year, we embraced the cowboy within and welcomed the Americana trend into our hearts... and our closets. However, not in a John Wayne, days-gone-by kind of way. 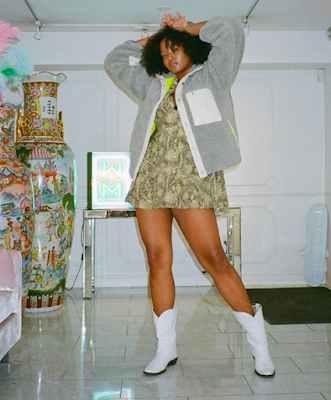 Western wear was juxtaposed with sportswear trends and 90's mania. It was both feminine and masculine. 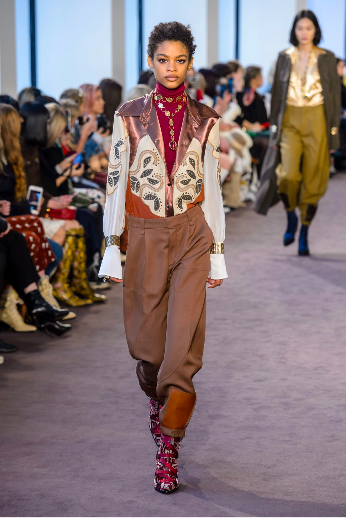 It was all over runways from Gucci to Isabel Marant to Calvin Klein, a seeming nod to America's Wild West. Despite that, this trend wasn't backward leaning or even overly nostalgic, rather it was one grounded in the now. Cowboys have long been seen as the pinnacle of manliness and freedom. In myths, cowboys ride horseback into sunsets looking for new adventures after saving dusty towns from intruders. 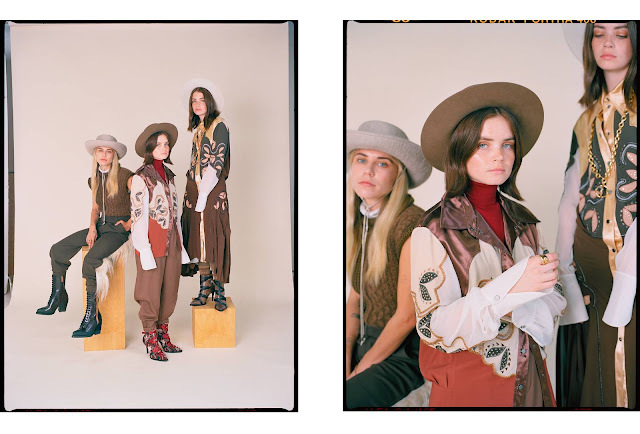 They rescue damsels in distress with nonchalant ease, but last year, women took the famed dress of the cowboy by the reigns and made it their own. It was a blast from a faraway past, yet all the while, it remained extremely versatile rather than rigid. This costumey trend broke all of the rules. Instagrammers paired vibrant red cowboy boots with flowing feminine dresses, and chunky western belts were paired with high waisted mom jeans. It was a perfect mix of acknowledging the fantasies and mystic of the cowboy from yesteryear while appropriately incorporating it into modern everyday life. The trend last year said goodbye to what was once a boys club and both softened silhouettes as well as embraced those traditionally reserved for men. Cowboys have been seen as heroic and honorable figures in the past, yet those are only a few of the many roles women have settled into and claimed as their own in 2018 with the #MeToo movement and a monumental amount of women entering governmental roles in the United States. It makes complete sense that clothing that once symbolized fearlessness and bravery was adopted by women this year. Bolo ties, buckles, and boots while playful, also served as a form of power dressing. Western wear embraced the freedom that the cowboy traditionally stand for when paired with untraditional pieces... matching perfectly with the changing world we live in today. The line of what is masculine versus what is feminine was blurred with every fringe shirt posted on the 'gram. Delightfully personalizable, the Western uniform took countless forms and allowed all to be their own cowboy. Sun setting behind us, riding ahead to conquer tomorrow.